Our experience of the world is a lot more complicated than we are able to grasp. For all the talk about multitasking, we rarely address the reality of the many things we are doing at once. Our consciousness works on a lot of levels. Capturing the simultaneity of human experience is a tough task. Using that to explore a huge historical canvas seems almost unimaginable. 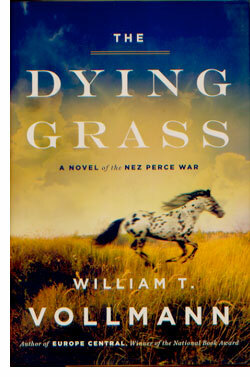 But that is precisely what William T. Vollman has managed with 'The Dying Grass,' the latest entry in his Seven Dreams series. Written in a prose style developed over years, Vollman explores the consciousnesses of a huge cast of characters as they head towards and fight the Nez Perce Indian war of 1877. If the book t first looks and reads daunting, give it time. It's worth the investment. Vollman will patiently teach the willing reader how to surf his waves of superlative prose. Soon enough, you'll experience a sort of mind transplant. What at first seems impenetrable will become unstoppable. Truly both wild and wonderful, and sad. What is The Agony Column? "He took down the great book in which, day by day, he filed the agony columns of the various London journals. "Dear me!" said he, turning over the pages, "what a chorus of groans, cries, and bleatings! What a rag-bag of singular happenings! But surely the most valuable hunting-ground that ever was given to a student of the unusual!" "...a lot of long words that in our language are sentences..."
William T. Vollman writes books that could seem intimidating to some readers. You might expect the same of the author, but that is just not the case. As we sat down to talk at KQED for the second time, I almost wished we could record at a pub. 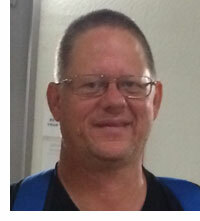 Vollman is easygoing and casual. Even as he speaks of writing books that are beyond brilliant, he has a low-key manner. To my mind, 'The Dying Grass' is quite likely to be the book of year; maybe of this decade, unless he writes another. "...the reporting for this book was emotionally difficult at times..."
Susan Casey is every bit as compelling in person as she is on the page. As we sat down to talk about her latest book, 'Voices in the Ocean: A Journey into the Wild and Haunting World of Dolphins.' She mentioned that she had a new bit of science that had come out after publication. •A 2015 Interview with Felicia Day : "I think you have to be attention curators for the audience in every way." Sarahjoy Marsh, William T. Vollman, plus John Kounios and Mark Beeman Email me. 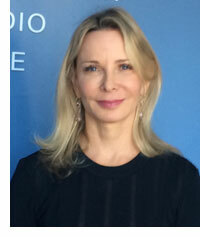 You can help support KUSP and The Agony Column. Follow this link! What do you want to hear? Email me!